This Pastry Chef interview profile brings together a snapshot of what to look for in candidates with a balanced sample of suitable interview questions. Similar job titles include Chef. For all creative roles, including that of the Pastry Chef, your most important criteria for selection are work samples. Next, look into culinary training and proven work experience in your exact environment (restaurants, for instance). Interview candidates should be ready with a culinary portfolio of past creations. Hiring managers may even ask candidates to prepare a pastry dish on the spot, or request candidates to bring samples to the interview. Use the portfolio and the samples as conversation starters. You’re trying to get a sense of their creativity, their approach to pastry, and their alignment with your pastry chef needs. Do you need a chef to do high volume pastry? Supervise a team of other chefs? Bake specifically French traditional pastries? 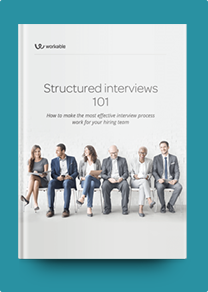 Feel free to add your own questions to tailor the interview to the exact work environment and responsibilities. Finally, the interview is a great opportunity to assess the character of your candidates. How well do they handle stress? How would they handle a crisis at work? Do they do work well in teams? Since this is still a hospitality role, are they service-oriented? Getting the answers to these questions should be your goal. What inspired you to be a professional pastry chef? What highlights from your training or experience are most relevant for this role? When you’re not at work, where do you go for great pastry? How would you prepare pastry cream? What techniques were most important in preparing [this sample dish]? What made you select these sample dishes for this interview? How do you manage your time when you receive multiple dessert orders at once? What are some common substitutions for diabetic and vegan pastry recipes? What would you do if you accidentally burnt an entire batch of pastries before an important event? You’re preparing a dish and it turns out that there are missing ingredients. How would you handle it? How would you react if a customer sent back one of your dishes? How well do you handle having to share your work space with others? Describe a time you had to work with a team to achieve a shared goal. The kitchen is a busy, fast-paced, often stressful environment. How do you cope with stress?